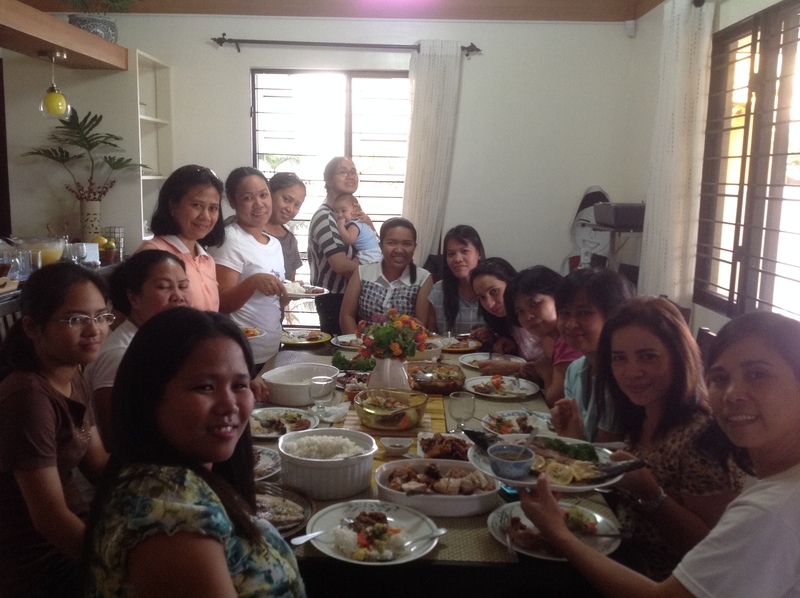 Last Friday, April 11, TBC women (all 16 of them) came up with their own version of Women’s Day, when they decided to meet together for a whole day of fellowship and learning at the residence of Pastor Rodel and sister Haydee. Present during the fellowship were Gie, Janet with Japheth, Aileen with Eli, Nel, Nina, Mare, Mylene and Rhua, Mylene and Rose (who took respective leave from their offices), Carol, Mel, Janet, Lani and Ruby. They came in a rented jeepney to make their travel comfortable. Later, Angie and Irene came to join the group. After brunch, each sister was given time to share her pressing concerns, so she can be prayed for intelligently. . This was followed by a lecture on self-management by sister Haydee. After a hearty lunch , the sharing continues and was capped by another lecture about helping and giving. 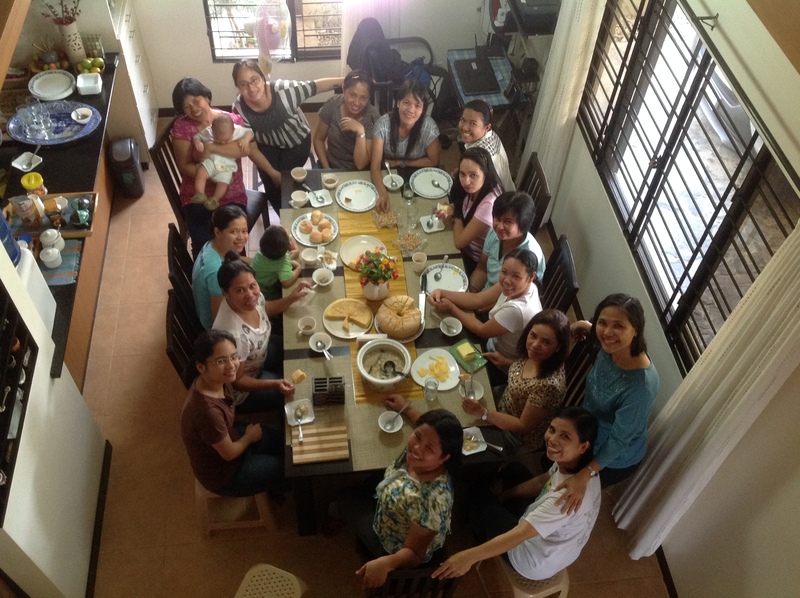 Before leaving, the sisters treated Gie to a mini-birthday celebration for her 49th birthday. God be praised for giving the sisters a time to relax and learn from each other.